The event began in Aberdeen, at 8.00 am, when a group from Aberdeen Trades Council celebrated the welcome given to John Maclean as he changed trains on his way to Glasgow. In Glasgow, about 80 people walked the exact route that John Maclean had followed from McPhater Street to Calton Place on the south bank of the River Clyde. 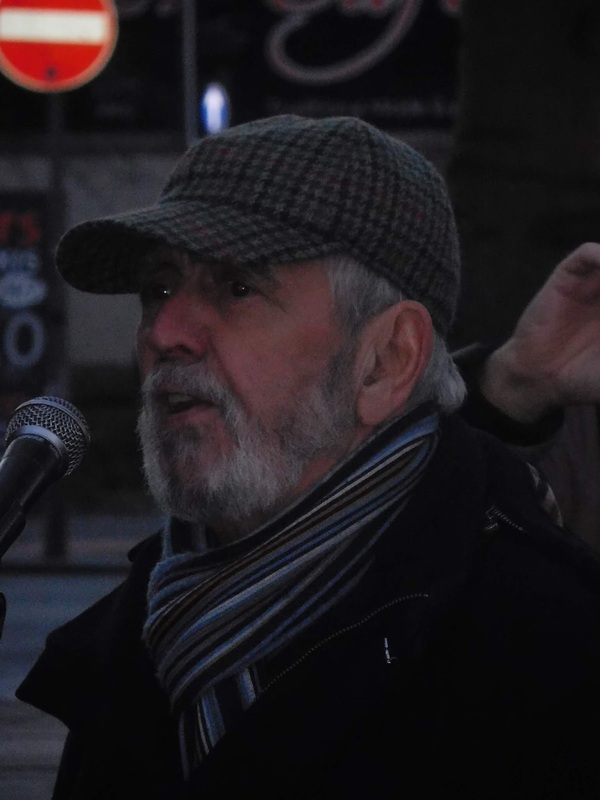 This was followed by a brief introduction from Alan Smart of johnmaclean100, in which he emphasised the significance of John Maclean in linking the National and Social Questions, and pointing to his relevance today. 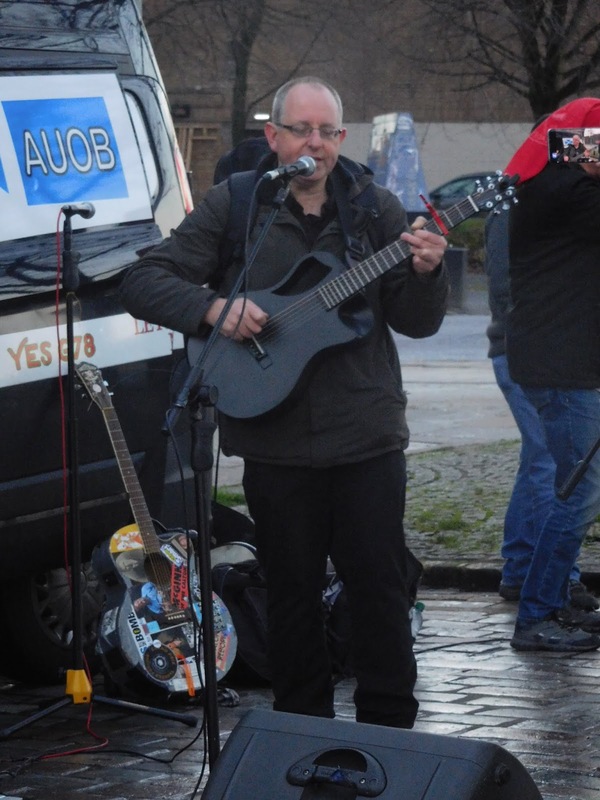 In particular, Alan highlighted the need to support those women in Glasgow who had taken strike action for equal pay against the now SNP controlled Glasgow council, after their let down by Labour in the previous administration. Alan also supported the pay claim being made by Scottish teachers in the EIS. 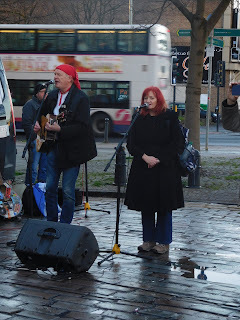 After Alan's introduction a number of performers played a variety of songs, many about John Maclean, as well as about various struggles from the Wobblies in the USA to the 1984-5 Miners' Strike. 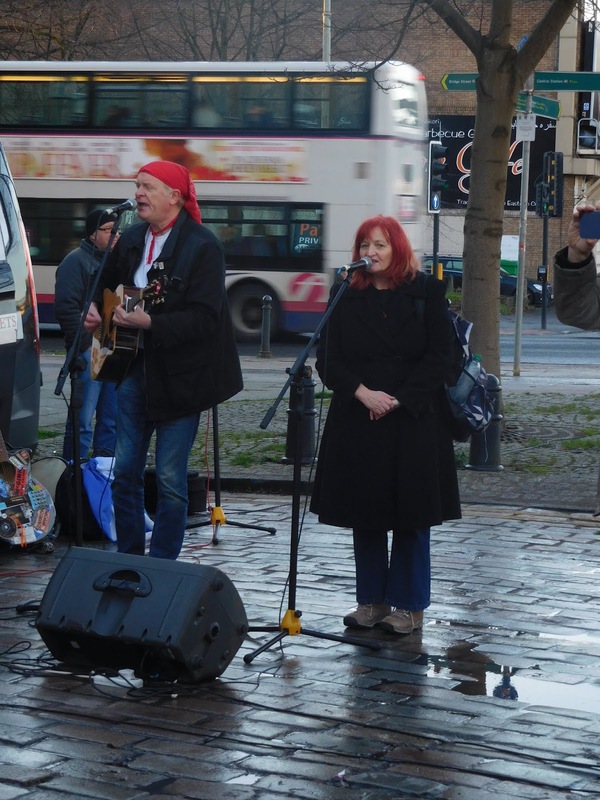 The performers included johnmaclean.100 members, Pauline Bradley, Shaun Moore, Gavin Paterson, and Alan Smart. RIC-Edinburgh's very own Gerry Mulvenna sang a song he had written about the current situation in Catalunya. He spoke of the significance of the current hunger strike to force the European Court of Justice to press for the release of the Catalan political prisoners held by the Spanish state. 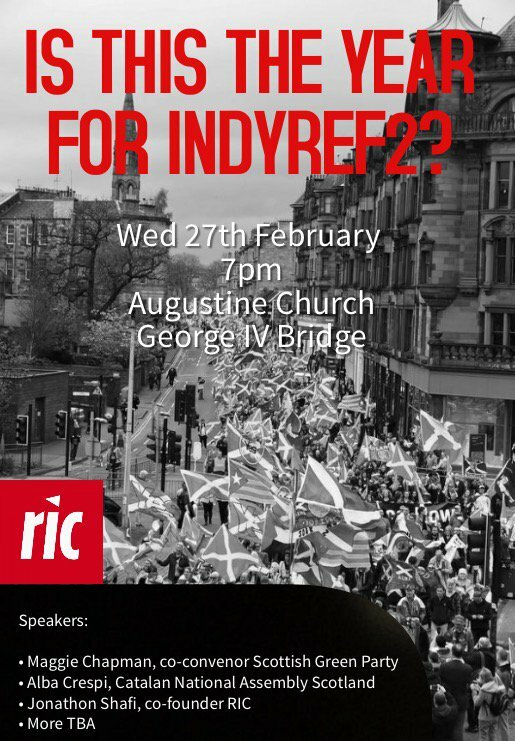 The legendary Glasgow traditional music performer, Arthur Johnstone finished off proceedings with Freedom Come All Ye and the Internationale. 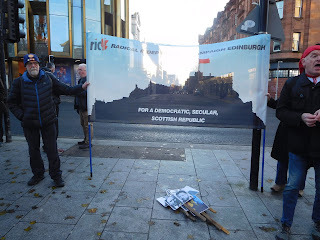 The RIC-Edinburgh banner was there. This went some way to make amends for the role of Edinburgh in John Maclean's life. It was in Edinburgh's Calton Jail that he was first imprisoned in 1916 for his opposition to the First World War. It was in Edinburgh's High Court on 9th May 1918, that John Maclean made his famous Speech from the Dock, before being sent to serve a punitive labour sentence in Peterhead Jail. Perhaps, not surprisingly, Maclean did not return to Glasgow via Edinburgh! However, the great James Connolly has gone a considerable way to retrieve Edinburgh's reputation. He saw two Edinburghs - the one from below (quite literally from The Cowgate) - and the one from above - "the snobs, flunkeys, mashers, lawyers, students, middle class pensioners and dividend hunters". It was with the support of the latter that Edinburgh's High Court was able to jail John Maclean. Today, RIC-Edinburgh places itself in that other tradition - the city from below.